Together, we beat back Prop 16 — the PG&E Power Grab — one of the most brazen attacks to-date on our clean energy future. PG&E pulled all the stops, spending $46.5 million on deceptive ads and mailers compared to our $100,000. Yet when the dust settled, Prop 16 was defeated 52.5% to 47.5%! This is particularly noteworthy given that this was a low turnout election, especially for Democrats. 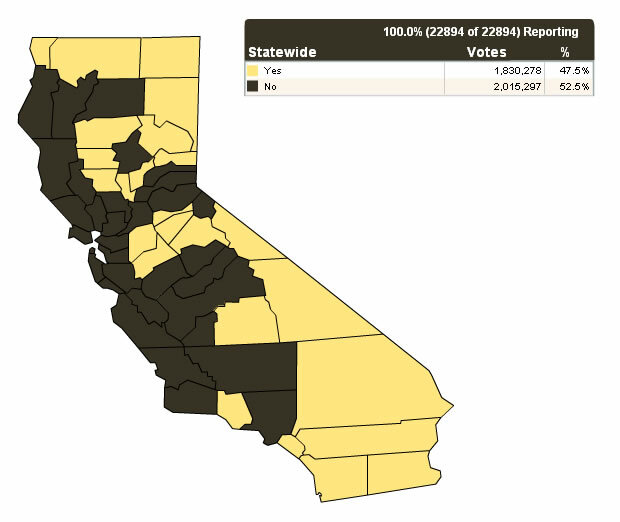 Here in the Bay Area, there was particularly strong opposition to the initiative, with 6 of the 9 counties registering more than 60% NO votes! Thankfully, many more people now realize that there are cleaner, cheaper options than PG&E. Prop 16's failure breathes new life into the Community Choice movement. CleanPowerSF, San Francisco's soon-to-launch Community Choice energy program, can now move forward, and Oakland, Berkeley, and other cities now have all the more reason to consider Community Choice as a viable way to meet their clean energy, climate, and local green jobs goals. Fighting Prop 16 diverted much of our effort from working on solutions over the past six months. That time will have been wasted unless we use this victory as an opportunity to create a broad-based movement for clean, affordable power and clean energy jobs. We are deeply grateful to everyone who made this amazing victory possible! We especially want to thank Mark Toney, Brianna Chesser, Mindy Spatt and the entire TURN team; Megan Matson and Eddie of Mainstreet Moms; Bruce Wolfe and Micheas Herman; SF Supervisors Ross Mirkarimi and David Campos; California Senator Mark Leno; former CEC Commissioner John Geesman; Dave Nakabayashi and Harrison Parker and the rest of the NoProp16Films.org team; Larry Chang; Woody Hastings; Kathleen Elumbra; Paul Fenn and Dave Erickson of Local Power; Larry Fahn of As You Sow; Ben Zolno and Jenni Perez of the One Million Strong campaign; Renata Brillinger of the Climate Protection Campaign; Laura Livoti of French American Charitable Trust; the Courage Campaign; Navina Khanna and Naina Devi; Jack Lin; Ambessa Cantave; Aaron Ableman; Katherine Thompson; Eric Brooks of Our City; Karey Christ-Janer; Craig Fiels; Colin Miller, Tara Marchant, and the Greenlining Institute team; Rebecca Bowe and Bruce Brugmann of the SF Bay Guardian; Susan Mernit of Oakland Local; Councilmembers Jean Quan, Nancy NadelGolding; Maikhanh Nguyen; Sheila Chung Hagen; Suzy Karasik; Al Weinrub, Ed Mainland, Kent , and Kriss Worthington; Rob Simpson and Ernie Pacheco of Citizens Against Pollution; SamLewandowski, Aaron Israel, Kate Kelley and the Sierra Club Bay Chapter team; Tom Taylor of the Harvey Milk Democratic Club; Rebecca Valentine; Ellen Seh; Megan Swoboda, Levana Saxon and the Brass Liberation Orchestra; Alexander Binik; Gera Marin; Dan Berman; Mary Beth and Jim of Ecological Options Network; Emily Kirsch, Hayes Morehouse, and Ian Kim of the Ella Baker Center for Human Rights; Rory Cox of Pacific Environment; Andrea Landis and Gale Kaufman and the Kaufman Campaign Consultants team; and everyone who volunteered, handed out leaflets, phone banked, did visibility or social media outreach, fundraised, or appeared in a film. Can you help make calls from your own phone, on your own time, to key voters in Southern California? Sign up at www.NOprop16.org if yes! As we count down the days to June 8th, getting the truth about 16 out to voters in Southern California is critical. The big money ad blitz from PG&E there is intense. But the single most effective method of winning campaigns has proven to be personal voter-to-voter contact, whether that's canvassing door-to-door or making phone calls. Sign up at www.noprop16.org and you'll get an e-mail inviting you to phonebank. We provide a suggested script and voter lists, and encourage you and anyone you know to carve out some dedicated time between now and June 8th to make contact, and make a difference. Questions? E-mail megan@themmob.org. What is Proposition 16: the PG&E Power Grab? PG&E plans to spend at least $30 million on Prop 16, named the “New Two-Thirds Requirement for Local Public Electricity Providers.” Prop 16 would amend the California Constitution to require local governments to obtain 2/3 majority voter approval before issuing public financing for a Community Choice energy program or for extending a public power utility. In other words, Prop 16 seeks to write PG&E‟s monopoly into law. What’s Behind the PG&E Power Grab? Californians are not required to purchase energy from an investor-owned utility like PG&E. In 2002, the state legislature approved AB117 (Community Choice energy), which allows cities and counties to purchase electricity or develop it locally through an energy provider of their choice. San Francisco and Marin County, for example, are in the process of developing Community Choice programs. In a Community Choice program, a local government buys electrical power while a utility (PG&E) maintains the power lines and does the billing. These programs are generally designed to provide a high percentage of clean, renewable energy (such as solar and wind) as well as to match or beat utility prices; furthermore, any ratepayer may still choose to opt-out of the program and buy power from the utility. PG&E currently gets only about 14% of its electricity from renewable energy and will fail to reach the state mandated minimum of 20% by this year. Instead, PG&E is investing mostly in dirty fossil-fuel plants that are powered by natural gas, and which emit large amounts of greenhouse gases. The PG&E power grab is meant to lock us into PG&E‟s dirty power and escalating rates. Why You Should Oppose Proposition 16 It subverts the California Constitution and initiative process. 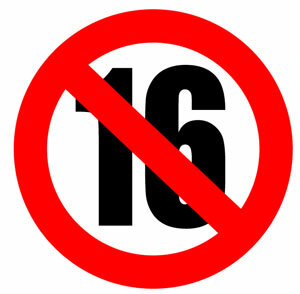 Prop 16 subverts the California Constitution and initiative process. Prop 16 manipulates the legal and electoral process to enshrine PG&E‟s electric power monopoly in the Constitution. Prop 16 distorts our democratic system. A 2/3 majority approval is not a one person, one vote system. It gives opponents twice as much voting power as those who vote Yes, making it nearly impossible to achieve public approval. We‟ve seen how the 2/3 majority has crippled the California state budget process by putting the fate of the majority in the hands of the minority. Prop 16 eliminates your community’s choice to opt out of PG&E’s high rates. Prop 16 stifles competition for electric power. PG&E has so,e of the highest rates in the country. In addition, PG&E has already begun 2010 with one rate increase and plans nine others that would hurt both residential and commercial customers. Prop 16 violates state law by thwarting local control of energy. Prop 16 is specifically meant to undermine California‟s Community Choice law (AB 117), which gives cities and counties the option of buying cheaper, cleaner power than that provided by PG&E. AB 117 requires electric utilities to cooperate with Community Choice programs. Prop 16 threatens the future of clean energy and green jobs. Prop 16 undermines local renewable energy development and the business growth associated with it. Prop 16 endangers our health. Prop 16 imposes PG&E's dirty power and the pollutants that accompany fossil fuel energy on Bay Area communities. Prop 16 stalls greenhouse gas reductions. Prop 16 undercuts efforts to provide sustainable, clean energy options to PG&E's dependence on fossil fuels.